Do you trust these colourful smiley people? I certainly did, so naturally had to grab a quick snap with them. How could you not, just look at those suits. It's amazing the difference a bit of sun can make to a whole festival - the number of people on site near tripled vs. rainy day one, smiles were everywhere [as well as a lot more flesh on show] and I consumed not one but two ice creams in one day [I decided to call the second a palette cleanser to balance the universe out so don't panic]. 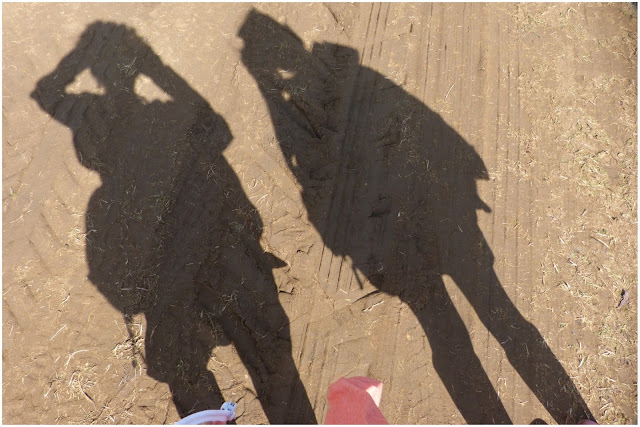 Therefore, I've decided that festivals should always just be sunny because you see a lot more, feel relatively more free to explore [limit the mudmageddon] and get to eat ice cream [the latter is of course the most important]. Day Two included watching a couple of legends [Cheikh Lô and Aurelio] as well as discovering some super talented new favourites [Orchestre Tout Puissant Marcel Duchamp]. 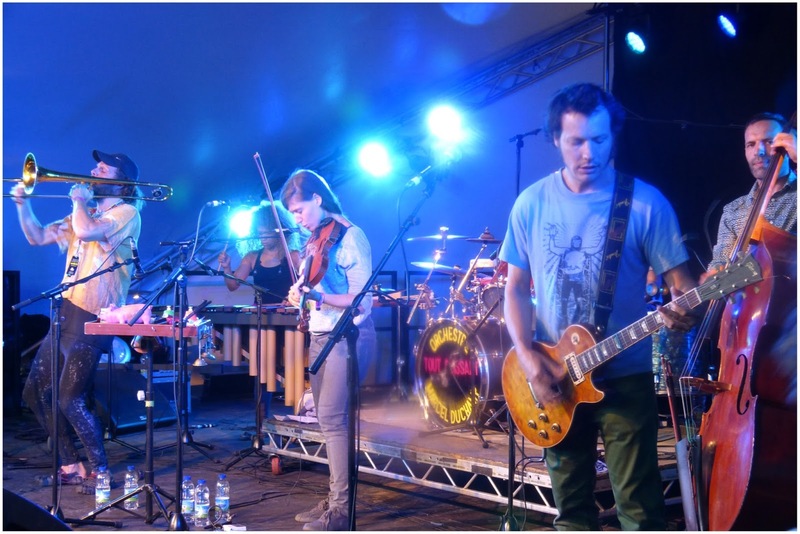 Thanks again WOMAD, you legend - until tomorrow! big shout out to these super fly dudes for adding some cheer into my day. 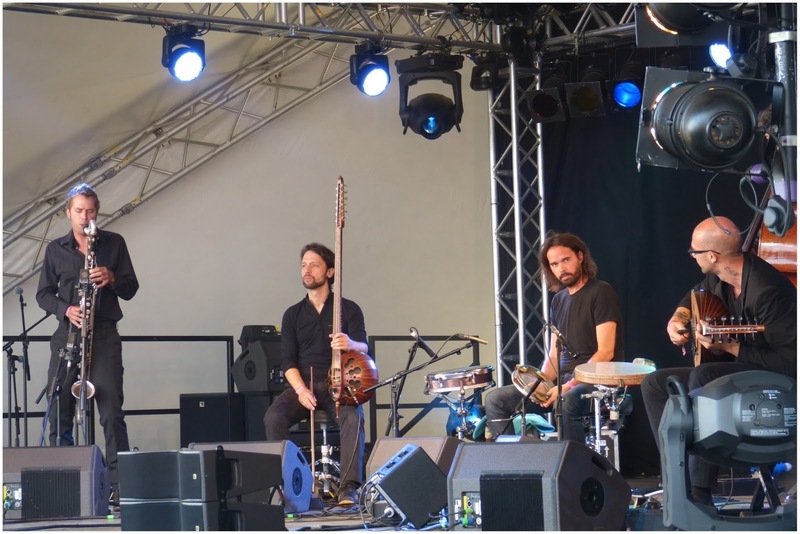 Cathia: An accident on the route into WOMAD meant that we missed most of Cheikh's set which I was gutted about. However, the last bit I heard was just fab - he just creates a relaxed yet electric atmosphere. 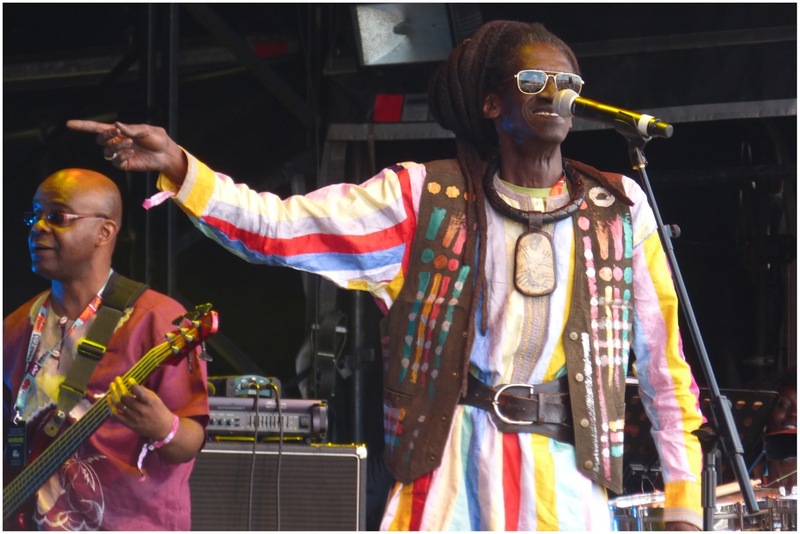 Plus, Cheikh is just a legend - his positive attitude constantly shines through his smiles, words and style. An artist I would always recommend you to see. To put into context how good he is - I said I enjoyed the last few songs and a friend said the start was actually even better! Ellie: Having been caught in traffic all morning, I only a song and a half of this set. 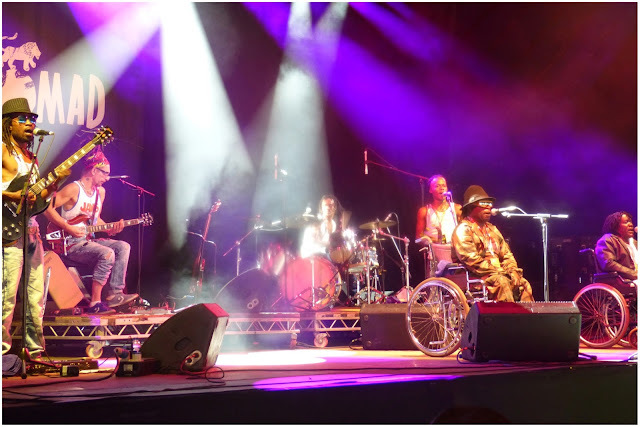 However, that was enough to see the fantastic grooves of Cheikh Lô and his band - his talent as a front man and also a drummer was vibrant and infectious to behold. Cathia: A really talented group of musicians, bringing together some classic traditional instruments to make one beautiful sound. This was a genuinely captivating performance from the professionals - impressive yet hugely accessible sounds to immerse our Saturday afternoon in. Ellie: I loved this band. The haunting melodies were almost reminiscent of Peter & the Wolf each element of the song taking you somewhere totally different. Their calm performance added to its beauty, their immense talent spoke for itself. Cathia: I knew I'd enjoy the style of this group but I wasn't expecting the dance / rave element which caught me by surprise. These guys really got the audience moving and there were very impressive wheel chair dance moves too. High energy and a full on party attitude! Ellie: You haven't lived until you've seen someone lift themselves out of their wheel chair to booty-shake! The crazy fun party feeling had the whole crowd dancing as the songs and performance were just great. Cathia: This group came off of recommendations and boy was I in for a real treat. I loved the overall vibe of this band - not only are they clearly all super talented but their energy and attitude on stage was infectious. Everyone was bouncing off the [non-existing] walls to some of the more unique and highly inventive grooves I've heard so far at this year's festival. Ellie: There was something really genuine and playful about the Orchestre. The way they played together was really cool and different - this is what set them apart as well as the trombonist's super tight leggings! Cathia: I loved the saxophonist who kicked off this show [aka the legendary Charles Lloyd] - clear, crisp and groovy sounds to entice the audience in. Then, it got a bit confusing. Overall, I enjoyed the set [had a little dance around with my fellow WOMADers] but it didn't really quite click throughout. It might have helped if I knew the performers / songs better but ultimately it felt a little disjointed with various artists coming up and doing their bit with the main band - I didn't feel there was a strong enough theme in the background to bring it all together as a show. Ellie: It's clear that the headline set by Atomic Bomb! was brilliant fun for the performers [true that says Cathia]. They were very enthusiastic and they really got a lot of the crowd on side, boogying away. It was more of a jam than a performance but they had some truly fantastic guests. 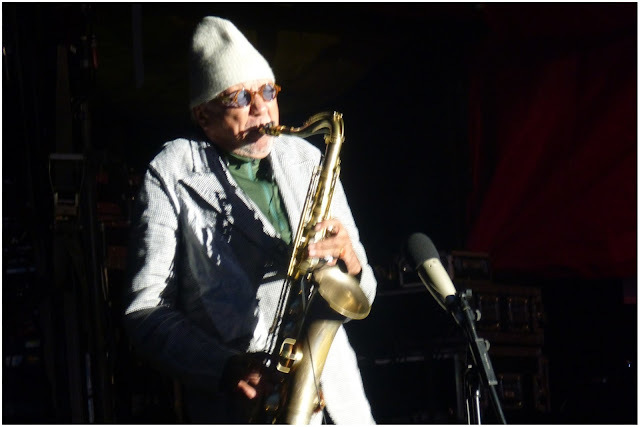 [Nod to Cheik Lô and Charles Lloyd]. 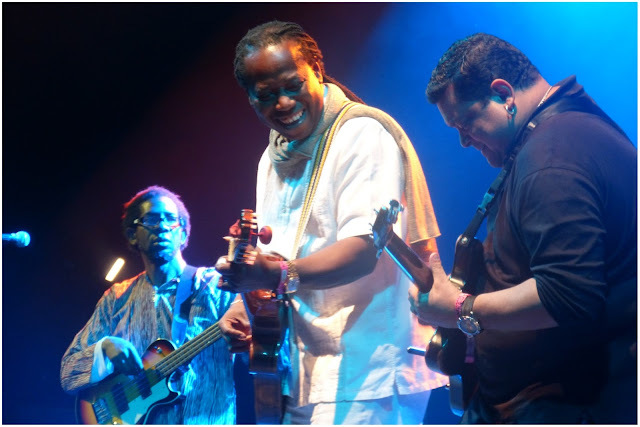 Cathia: I wasn't really aware of Garifuna until the music of Andy Palacio was shared with me, and from there I've realised that I really enjoy this style - the rhythms are relaxed yet strong, hypnotic yet persuasive. It was clear from the start of the performance that Aurelio is a very talented musician and guitarist [and dancer - he busted out some great moves mid set which was an excellent surprise]. He really brought the audience with him and fully into the beautiful melodies of Garifuna music. 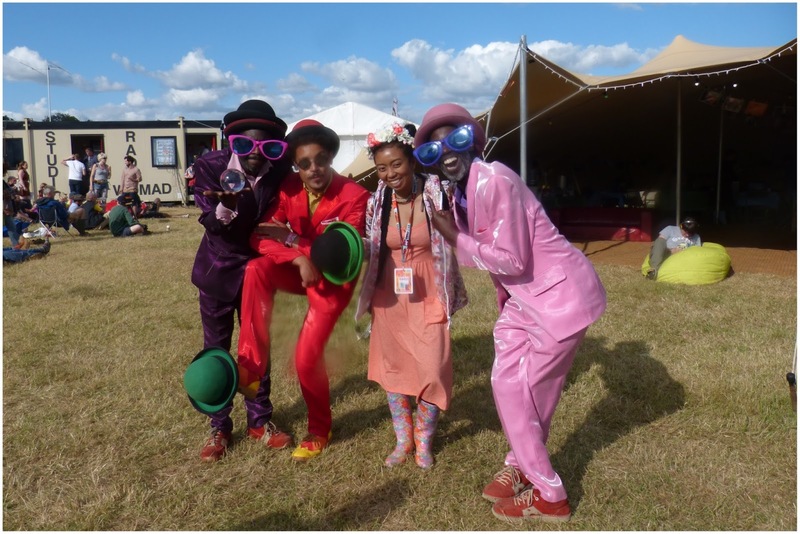 bring on sunday world music vibes - hopefully without too much rain!